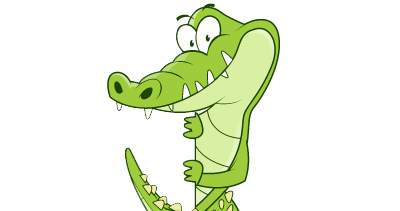 Loyalty Gator makes it affordable to have your own loyalty program. Our low monthly pricing comes packed with lots of great features. Choose any one of our loyalty programs and add to your business from just $88 per month. No transaction fees! Our month-to-month plans let you try Loyalty Gator with no risk or you can pre-pay for one year and get one month free. The choice is yours. Fuel your Loyalty Gator program with one of our affordable monthly plans. Whether you're looking for a customer loyalty program, employee loyalty program, or customized gift cards, Loyalty Gator makes it easy and affordable for businesses of any size. Card and cardless programs available - the choice is yours. Unlimited transactions, free loyalty member emails and more! Monthly Rate. Pricing in CAD. Never worry about additional charges! Loyalty Gator offers unlimited transactions¹ so you're free to use your program as much as you want. The data is safely stored and constantly monitored on AWS servers, protected by extensive network and monitoring systems. Check out who else is using AWS for server security. Review customer transactions, frequency, and favorite promotions. Export customer lists to use for your marketing campaigns. Send a personalized automatic email each time your customers earn points with a message from you and option to include special coupon. Check out helpful program guides and FAQs in our help portal or send a question to our team and they'll be happy to assist. Upload a batch of customers or transactions in minutes from your point of sale system or other applications. Simple and easy to use - your staff will find the loyalty dashboard easy to incorporate into their daily routine. If you need to collect specific information about your customers like their pet's name or favorite ice cream flavor, it's easy to set up custom data fields for customer profiles and transactions alike. Determine your own value for points issued based on amount spent. Add a depreciation to points if there is no recent activity. Manage staff access levels. Add a punch card campaign. Programs can be customized to suit your needs. Try our loyalty programs for free* to ensure they include everything needed for your program objectives. Your data is always yours and you're always able to access and export your customer and transaction data with just a couple clicks of your mouse. We offer a robust Application Programming Interface which allows you to integrate with many third party systems such as Point of Sale, Ecommerce / Shopping Carts, CRM and more. Don't forget to check out our additional products and services. API available. Contact us to get started today. Contact us for pricing and details about special loyalty program plans to suit your business objectives. Contact us for more pricing and more information about program add-ons. Try Loyalty Gator with no risk and ask for our 30 day free trial* Cancel anytime within the first 30 days and pay $0... but we're pretty confident you'll like us. Do you want to get Loyalty Gator for free? If you love your loyalty program, tell your friends and you could pay as low as $0/month for your plan! Details. Prices are in CAD. Applicable taxes may apply. *If you are not 100% satisfied with your loyalty program within 30 days from date of sign-up, you can cancel and won't pay anything. After the 30 day free trial you can cancel your program at any time by providing Loyalty Gator Inc. with 30 days notice. Custom development and white label services are non refundable and are not included in the free trial. Before signing up for your free 30 day trial, please schedule a free demo to learn how the program can work for you. Restrictions may apply for multiple locations. ¹Up to 50,000 customers. Subject to Fair Usage Policy - additional bandwidth charges may apply.